Well furnished and bright appearing rooms for a comfortable stay. Breathtakingly beautiful and super attractive, Hotel Meet Palace has the ambience of a modernistic palace. On entering the hotel, the appealing reception greets you with a warm and hearty welcome. 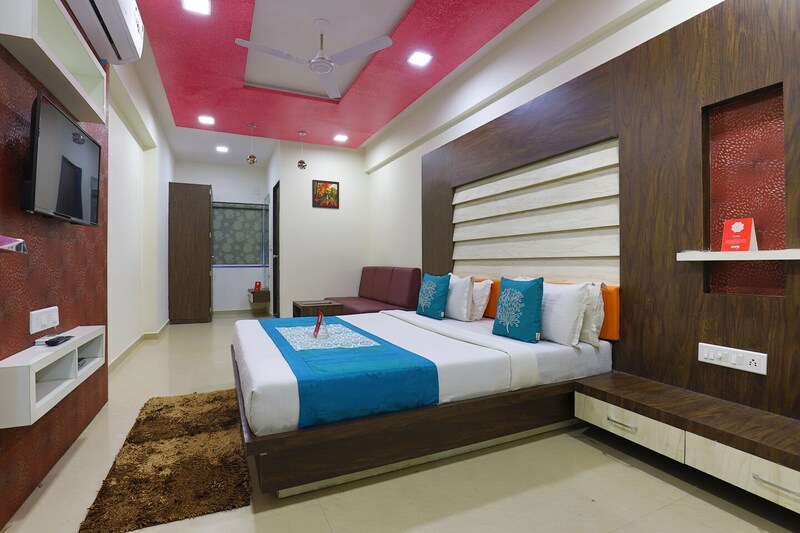 The rooms are well-equipped with amenities and are super clean and really spacious. These rooms have beautifully textured and brightly painted walls, appealing framed pictures hanging on the walls, royal sofas, designer ceiling, and bright cushions. The bathrooms are also well-maintained along with a geyser for chilly weather. Other facilities provided by the hotel are laundry service, parking facility, free Wi-Fi and CCTV cameras. You can fill your appetite for food by visiting nearby restaurants.